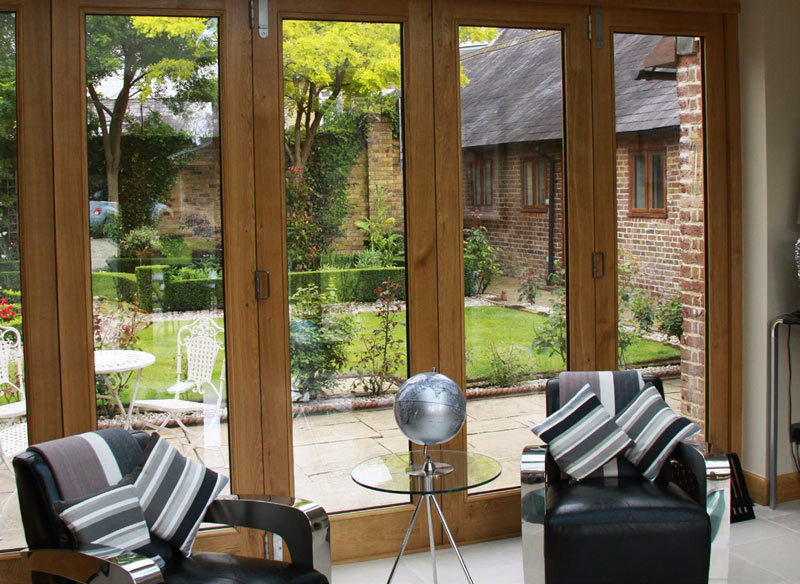 Stunning Barn Conversion & Oak Orangery! 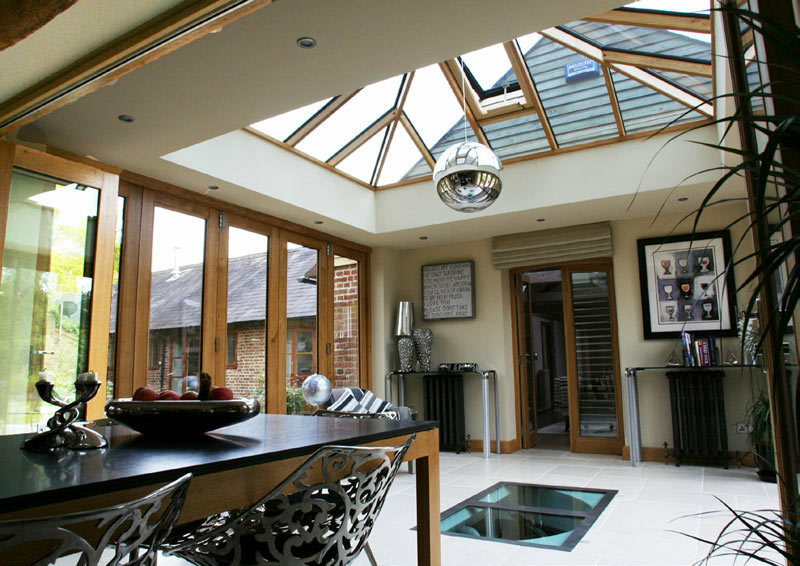 The addition of a large oak roof lantern maximises natural light especially through to the kitchen area so it looks bright and airy. By adding in folding sliding doors on the side, our client is able to enjoy easy access to their landscaped garden which is a real plus. The orangery has a special finish to reduce UV damage from the sun’s light, while the roof includes the latest, easy-to-clean solar control glass. This reduces unwanted summer heat by 83%, and means a cooler living environment even when it’s really hot!